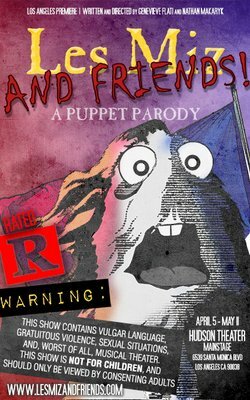 Both a loving tribute and a brutal deconstruction of the beloved musical, "Les Miz and Friends!" will delight Les Miserables-lovers and haters alike. Full of irreverent humor, parody and original music, improvisation, and no-holds-barred attacks on musical theater, this production is NOT for children.